You will find a lot of information on feline nutrition on this site, but one aspect I haven’t covered in detail is treats. While treats should always be used judiciously, especially for cats that have a tendency to gain weight or are already overweight, realistically, most cat guardians want to occasionally spoil their feline charges with a special treat. Treats also have their place when it comes to training (and yes, cats can be trained). Since most of us will give our cats treats, it’s important to choose healthy options. The same thing that applies to food applies to treats as well: cats are obligate carnivores, and as such, do not only not need carbohydrates, but they tend to do poorly on a diet that’s too high in carbs, especially grains. Freeze-dried treats come in a large variety of flavors, from chicken, turkey and salmon to beef, venison and shrimp. These treats are pure meat, and very low in calories. They’re great to use inside food puzzle toys . Small quantities of cheese, cooked fish, and eggs are all safe treats if used in moderation. Strange as it may sound, some cats love watermelon or cantaloupe, which are also okay to give in small amounts. Cats should never have onion, garlic, kelp, grapes or raisins, sugary treats, chocolate, and alcoholic or caffeinated drinks, even in small doses. 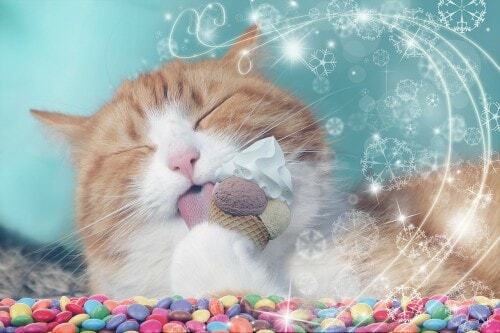 As for ice cream, a few licks here and there won’t be a problem for most cats. FTC Disclosure: This post contains affiliate links. This means that if you purchase something by clicking through on one of these links, I will receive a small commission. Are Dehydrated and Freeze-dried Foods a Healthy Option for Your Cat? Great topic! While I’ve been aware of Wellness’ great product line for many years, I’d love to know some make-at-home type recipes for kitty treats. No preservatives, whole healthy foods. 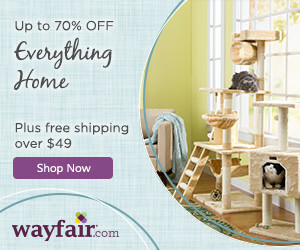 What an amazing website – and I suddenly don’t feel so alone because of our stance for healthy treats for cats. We manufacture a range of air dried protein snacks for cats in our small factory in Bendigo in Victoria, Australia. We take only the finest, farm fresh meats and add nothing except fan forced air, so no chemicals, preservatives, colours or flavours, salt or sugar and especially no grain! Ingrid you can find them here at http://www.onlinepetdepot.com they have the best price on them. Dawn, I’ll have to check out those Wild Side Salmon treats – they sound great! My cat just loves the Wild Side Salmon cat treats. whats good about them they are high in protien, low in ash and there 100% pure Wild Alaskan Salmon. ingrid..yes..trying to get her off temptations (i know) and theonly one she sort of won’t snub all the time is -well-it is no grain..and ..etc. no worries w it. i just want to ask…aside from how to find the best foods..etc…do you have a way to link up to (that is if you wrote on this) : feline scratching and allergies. and why is it assumed it is food allergy all the time? i am doing my best to switch eliz. over. wont do raw..worry-mostyly cuz she has hcm-and..i don’t know..maybe i worry too much..just bacterias..i know..canned food does too. but..
Kitty loves Liv-a-little freeze dried chicken and Cat-man-doo bonito flakes. Both are natural treats with no additives or preservatives. Our gang are big fans of Greenies. I’ll have to check in these treats for Little One and Gum Drop. Thanks for the tips. My kitties also love the Halo freeze-dried treats! But, I keep a small bag of Evo grain free dry food on hand at all times. Since my cats only eat canned Evo, a 10 or so pieces of that dry cat food is just like a treat for them. And since I have 5 cats, buying the bag of dry Evo food is less expensive than buying the little bags of treats. Thanks for another great post, Ingrid! Sending healing thoughts to Amber! Thank you so much, Ingrid! I’m glad you wrote about this subject. Finding healthy cat treats is not an easy task. We’ll test them here. Well sounds like your testers are saying that the Freeze Dried treats are the most popular. I will have to check those out and try some of them. Thanks to those two great testers for letting us know which ones are the best. Amber, sure hope you are feeling better.